With school back in session, millions of elementary, high school and college students will be racing off to classes with overstuffed backpacks slung over their shoulders. While carrying a backpack may seem harmless enough, it can cause some painful back and neck problems for students who don't pack or carry their backpacks properly. What can you do? The backpack should weigh no more than 10% of his or her body weight. Too much weight will cause your child to walk bent forward to support the weight on the back instead of the shoulder straps. A backpack with individual compartments will help in the positioning the contents most effectively. Make sure that pointy or bulky objects are packed away from the area that will rest on your child's back to prevent painful blisters. It is important to use both shoulder straps. Lugging the backpack around by one shoulder strap can cause a disproportionate shift of weight to one side, leading to neck and muscle spasms as well as low back pain. Padded straps are very important. Non-padded straps are uncomfortable, and usually dig into your child's shoulders. The shoulder straps should be adjustable, so the backpack can be fitted to your child's body. Shoulder straps that are too loose can cause the backpack to dangle uncomfortably and cause spinal misalignment and pain. If the backpack is still too heavy, talk to your child's teacher. It might be possible to leave the heavier books at school, and bring home only lighter handout materials or workbooks. Talk to your child about the proper use of back packs and help them understand the importance of proper posture and spinal health to grow straight and tall. If your child experiences any pain or discomfort in the shoulders, arms, or back, call your doctor or chiropractor to assess any adverse affects resulting from backpack use. 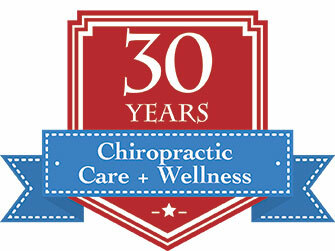 Doctors of chiropractic are licensed and trained to diagnose and treat patients of all ages and use gentler techniques for children In addition, doctors of chiropractic can also prescribe exercises designed to help children develop strong muscles, along with instruction in good nutrition, posture and sleeping habits.